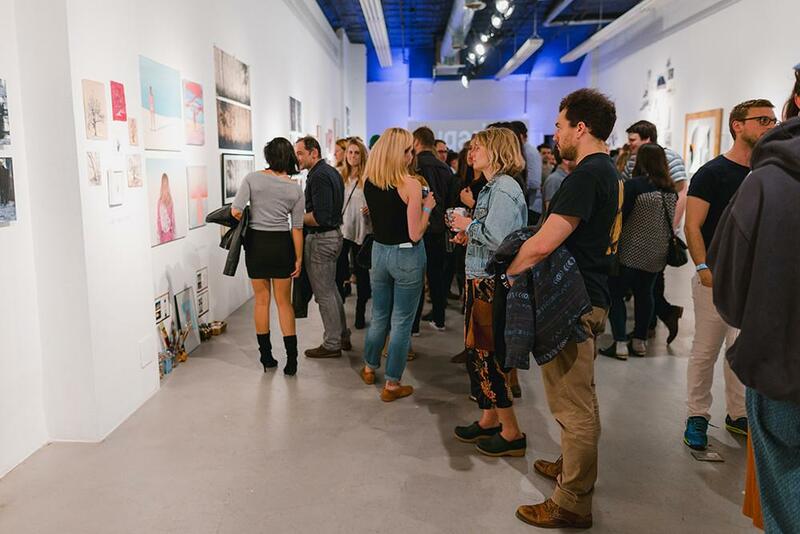 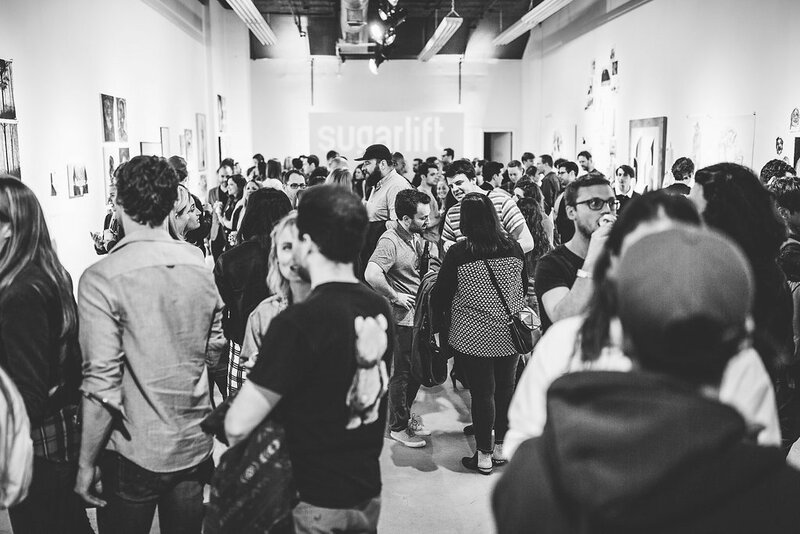 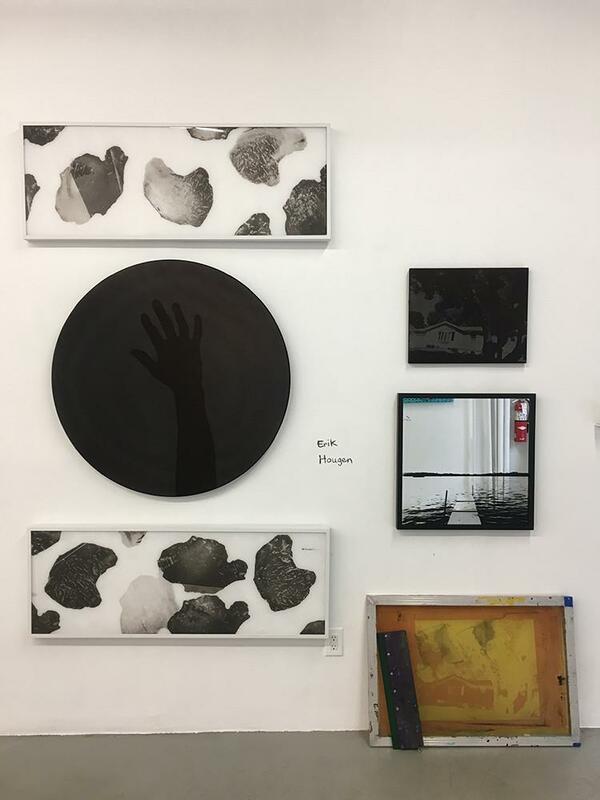 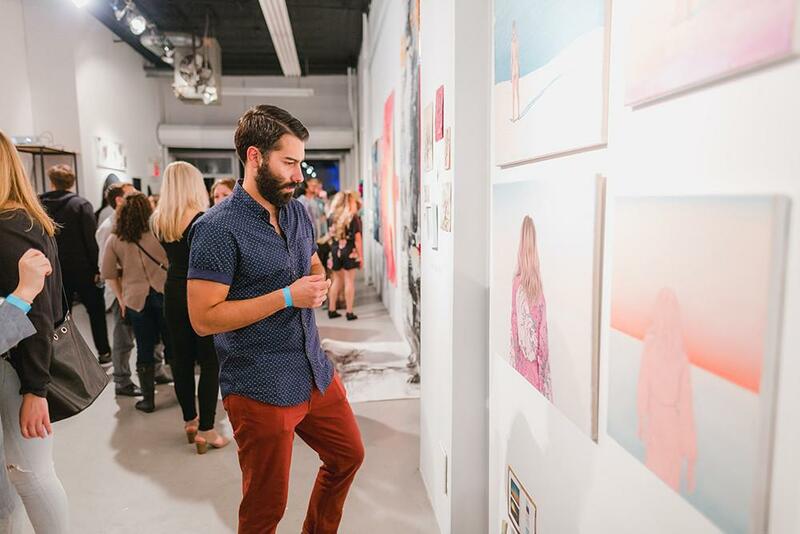 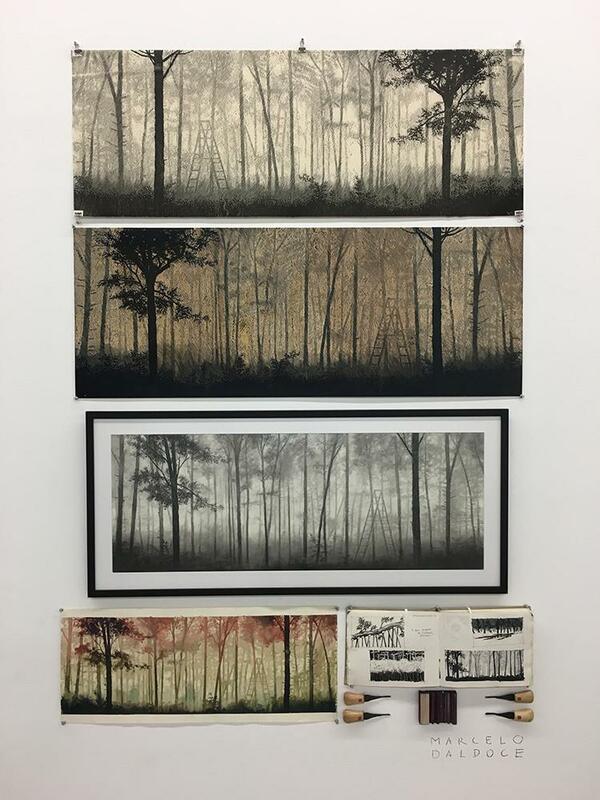 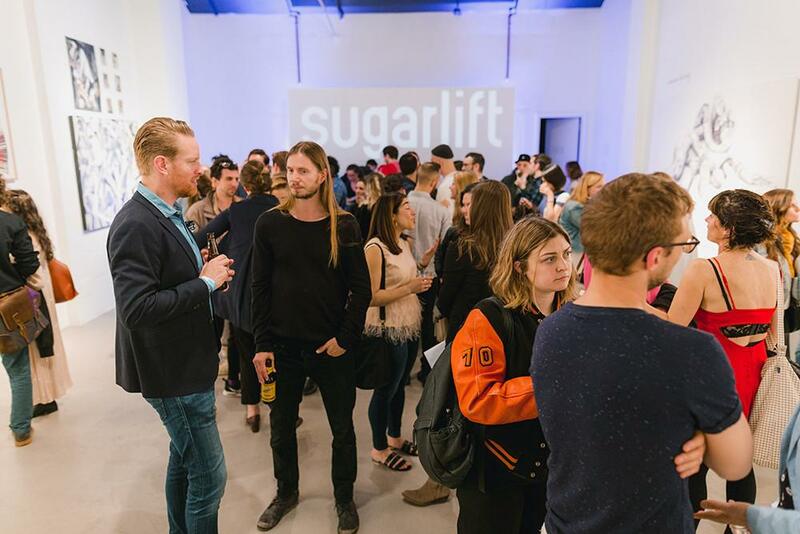 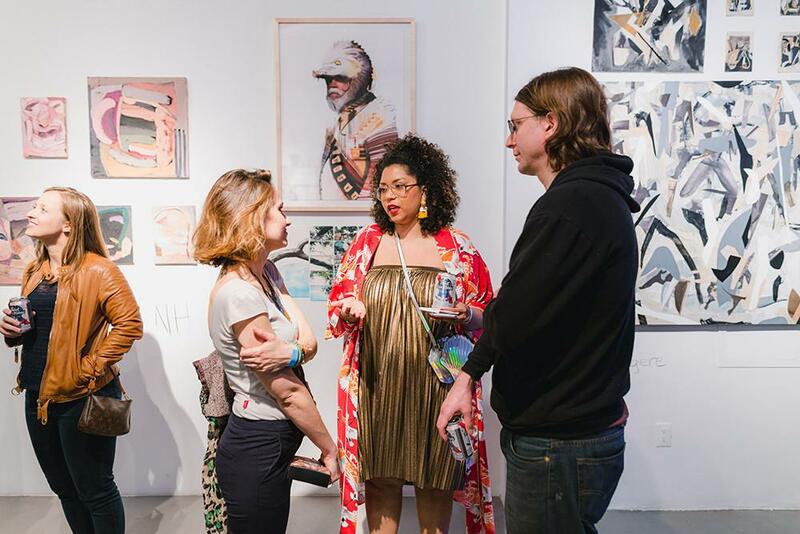 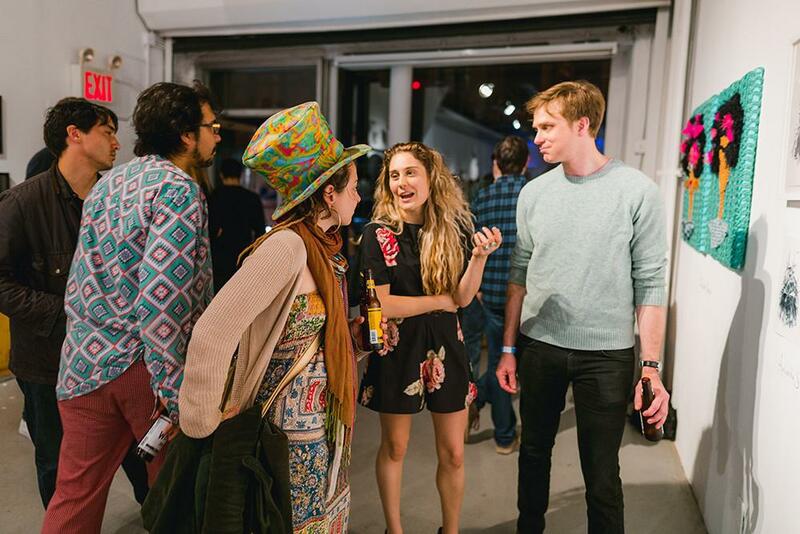 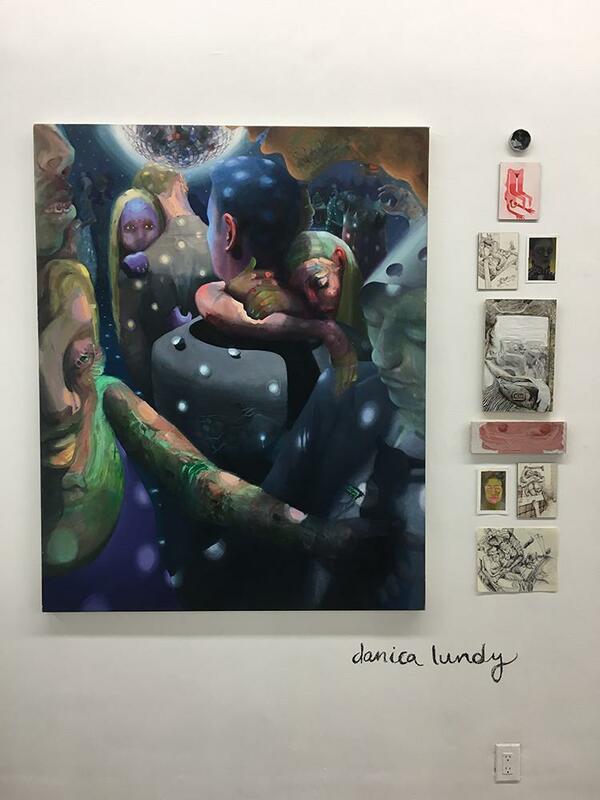 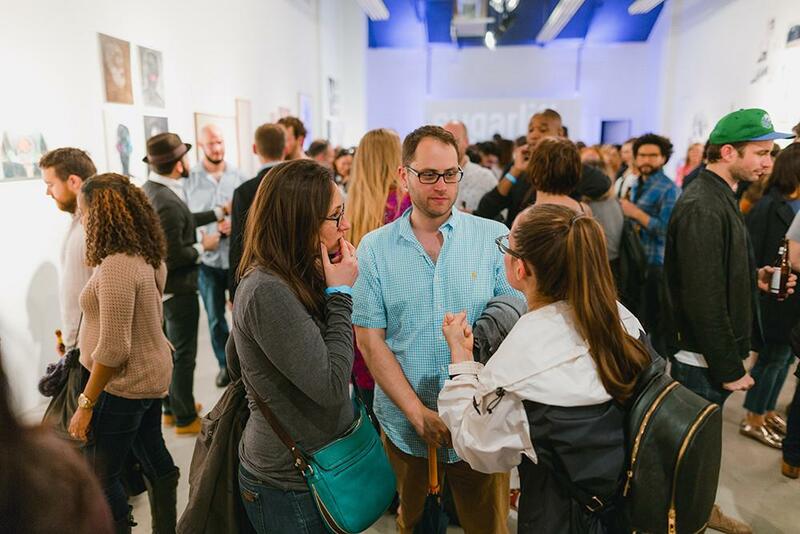 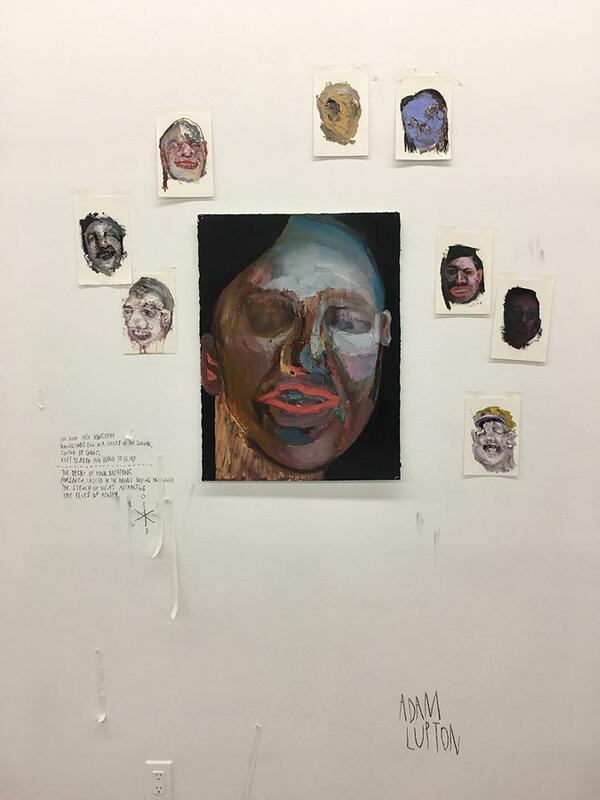 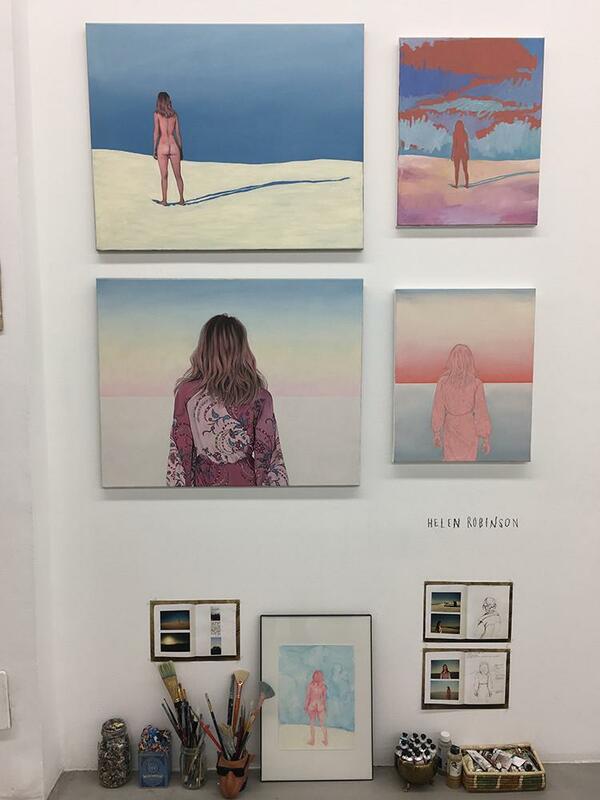 Sugarlift Open Studios was a pop-up gallery show in downtown Manhattan featuring new works by 24 NYC-based artists. 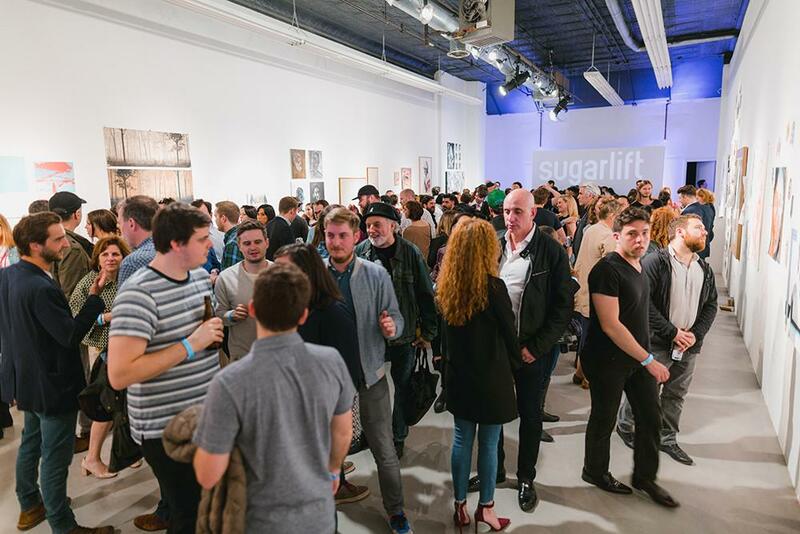 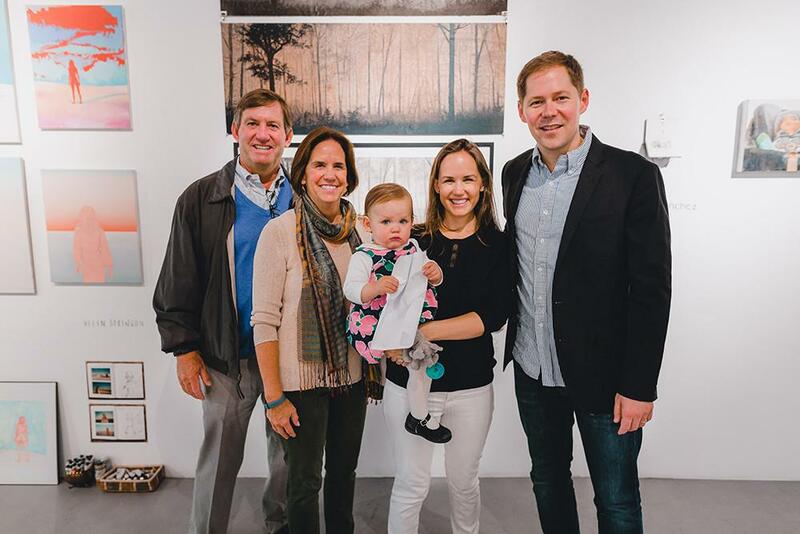 We had a blast at the Sugarlift Open Studios event in 2017! 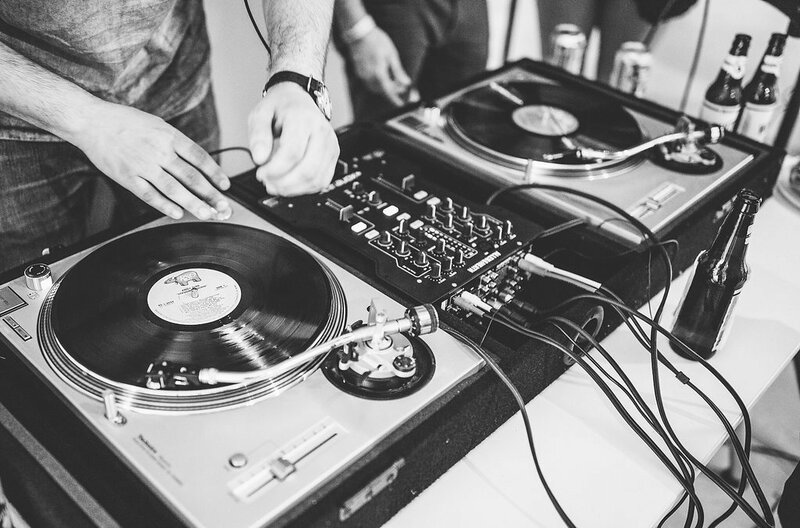 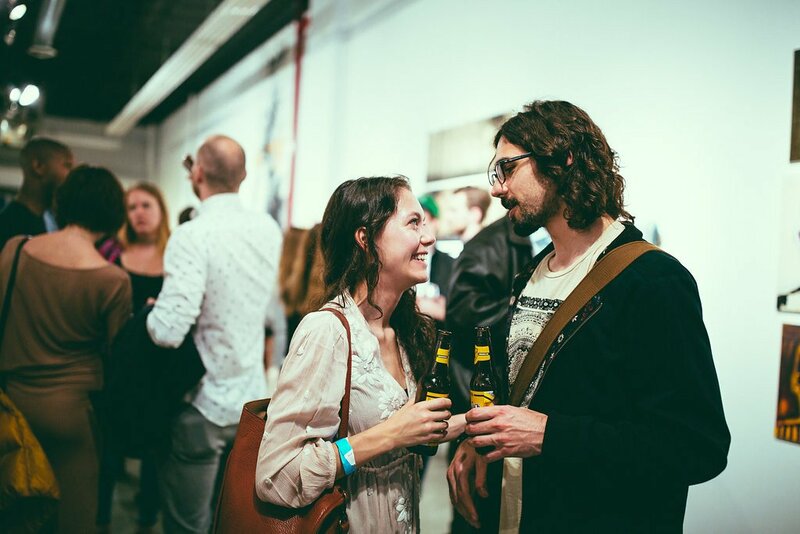 Huge thank you to our sponsors Braven Brewing Company and Lucky Bird Bakery, The Colada Twins for providing the tunes, and Nolan Zangas and Rosie Cohe for photographing the event. 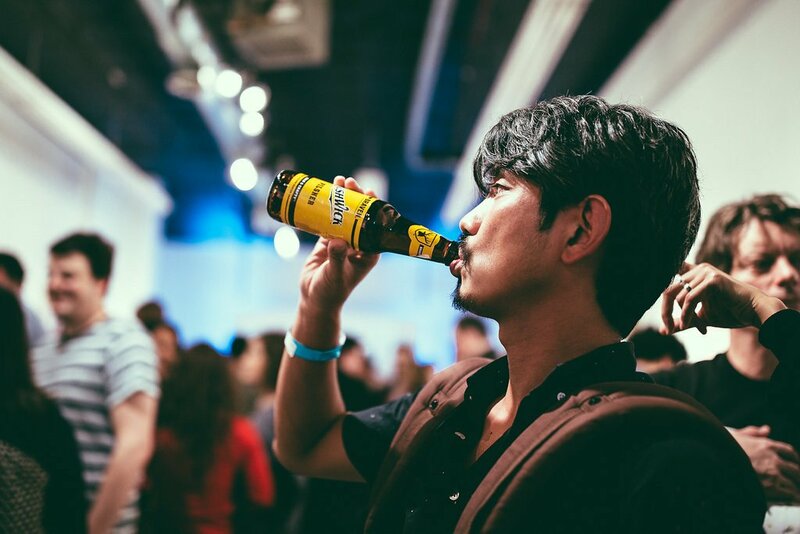 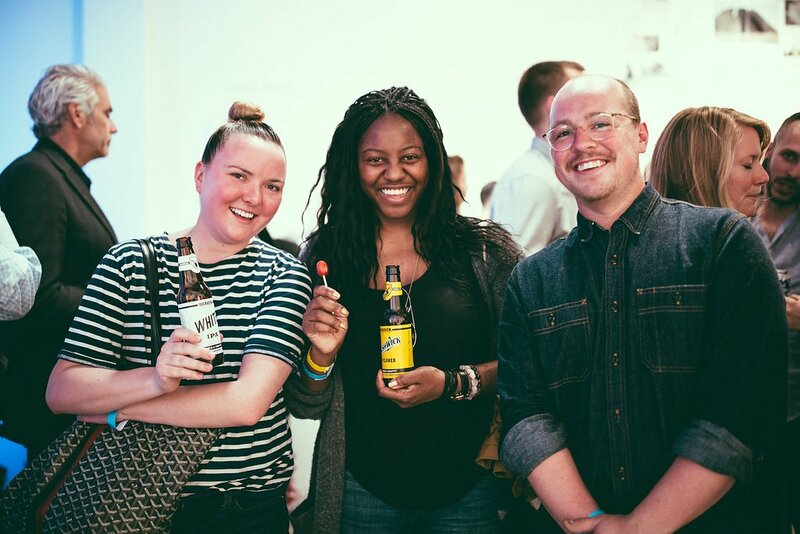 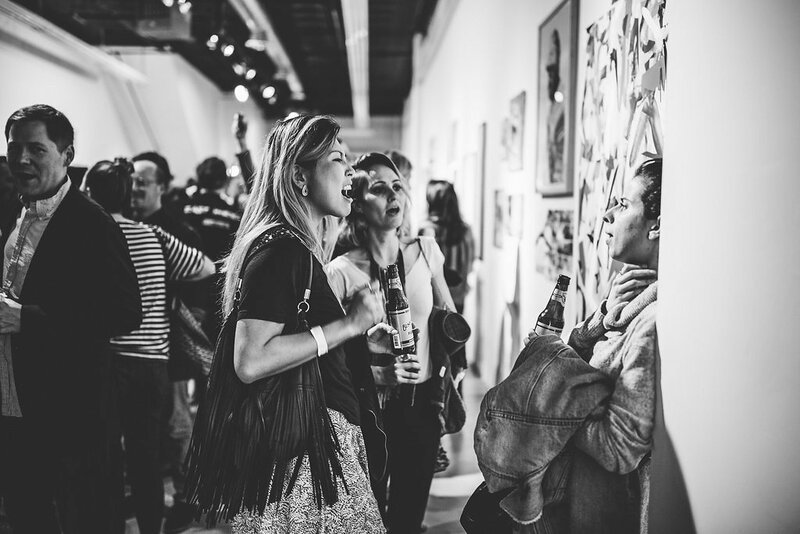 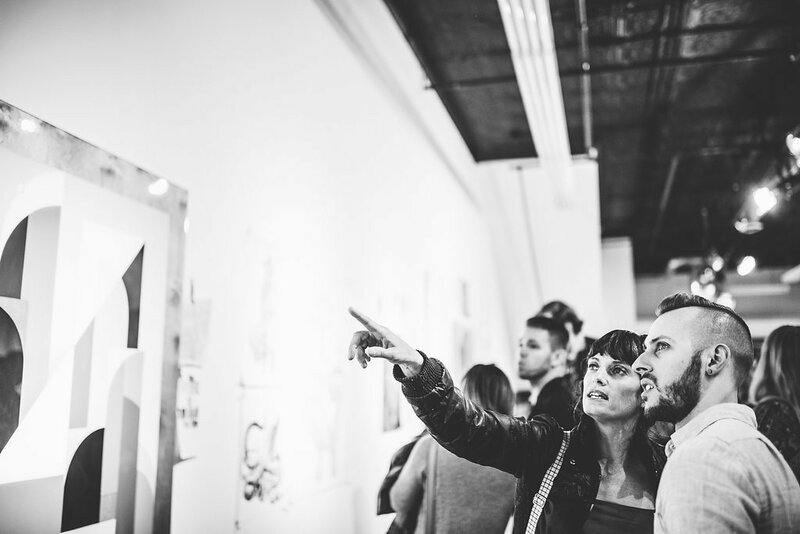 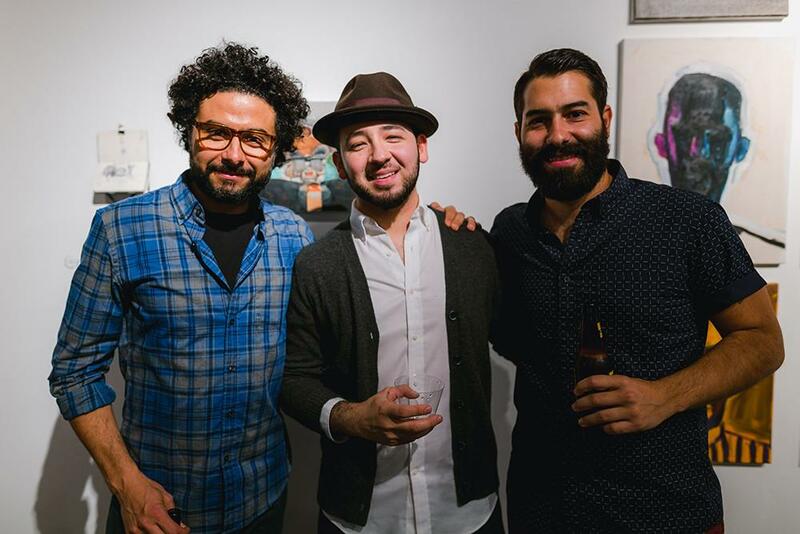 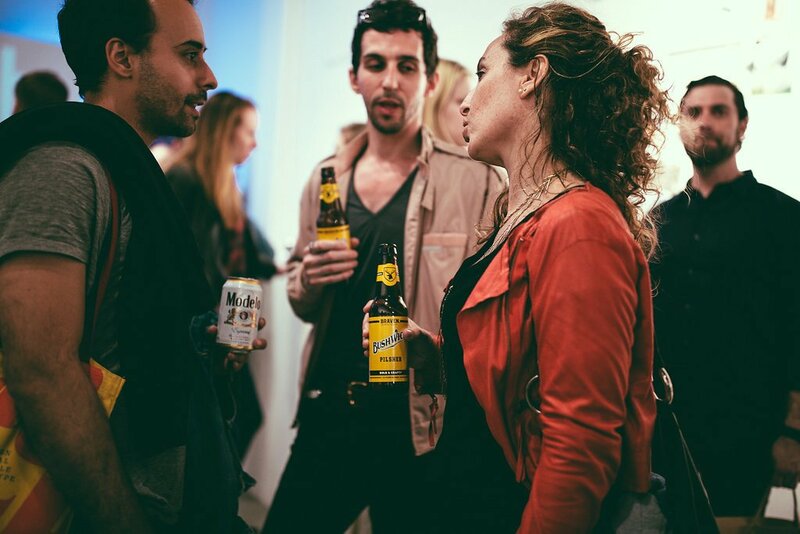 The launch party was an awesome night filled with great art, cold beer, and fun music. 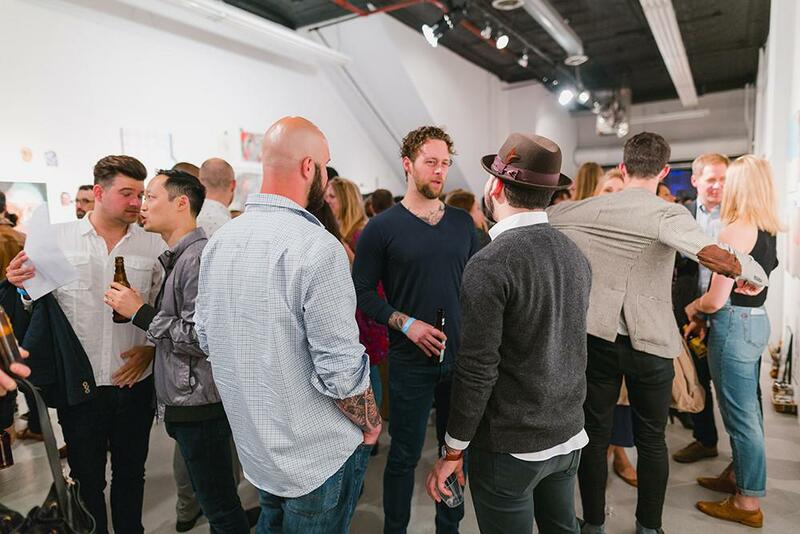 Check out event photos below! 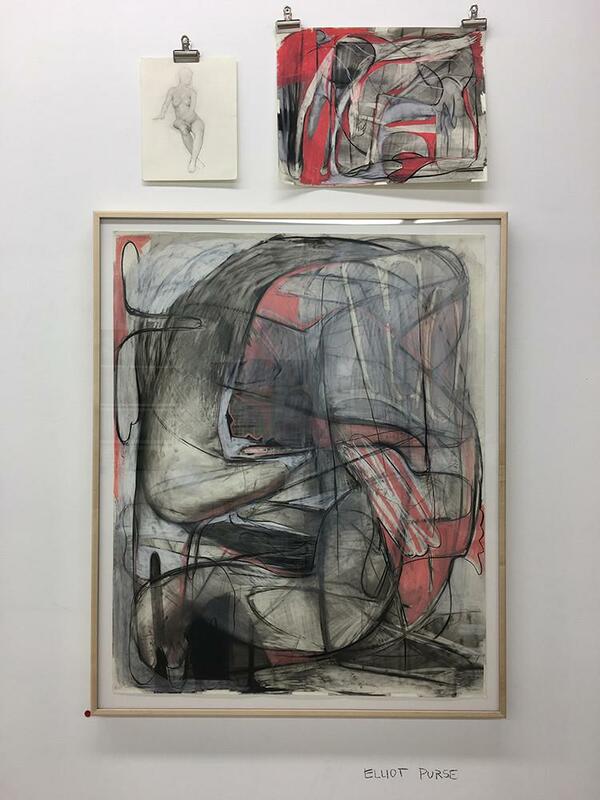 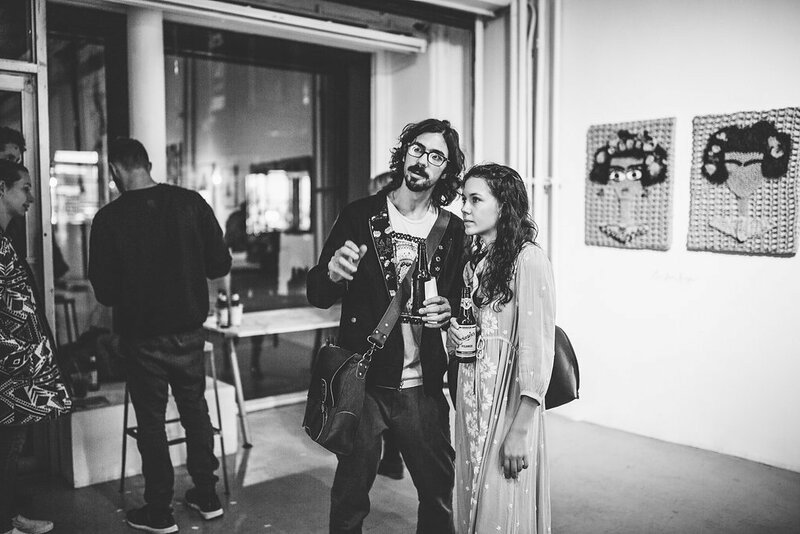 Esteban Ocampo-Giraldo observing fellow artist Helen Robinson's work!